If you can't live without a jailbroken iPhone, then you must have heard about Pangu. The untethered jailbreak tool released by Chinese hackers last week was initially available for Windows only, meaning you would need a PC to install it. But just yesterday developers have released a Mac version and it is available in English. Ok, let's dial this story back a little before telling you how and where to get the jailbreak. Last week, what some might refer to as being "out of the blue," an untethered jailbreak tool called Pangu surfaced on the web from a small group of Chinese developers. The jailbreak was developed for iOS devices running iOS 7.1.1 (the latest version). Usually jailbreaks are happily welcomed but the case with this one is a little different. The last few iOS jailbreaks have been developed by the group Evad3rs and called the Evasi0n jailbreak. That group had announced a while back that there won't be an iOS 7.1 jailbreak from them because Apple was going to announce iOS 8 and the group had hoped to save the existing exploits in iOS for that version. 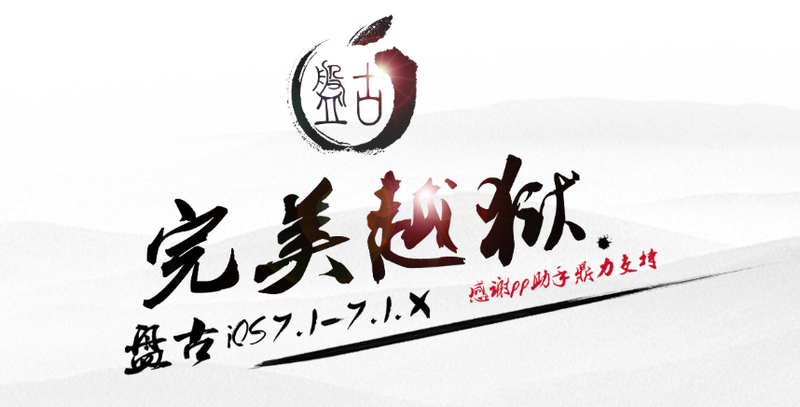 With the Pangu jailbreak, however, those exploits will probably get patched by Apple in iOS 8 thereby pushing back a possible iOS 8 jailbreak. Now that the Pangu jailbreak is here, it has been confirmed to be without any malware and is quite straightforward to install. You will need an iOS device running iOS 7.1.1 and a compatible Mac or Windows PC to install it. Here is the link to download the jailbreak. The mandatory disclaimers and warnings with jailbreaking any device will still apply. You should jailbreak at your own risk. You will also need to set your device's date to June 2nd and turn off the "Set Automatically" option before installing. The tool takes you step-by-step through the process of jailbreaking. The jailbreak works even for the latest Apple devices like the iPhone 5S, 5C and the iPad Air running iOS 7.1.1. Meanwhile, the jailbreak tool AppEx for Pioneer AppRadio users is still under development. With iOS 8 being set to release sometime this Fall, the chances of seeing a working version of AppEx before that are slim.